Something I learned through PCTELA was that I could get involved in committees and make a direct impact on our students and teachers by being involved. This blog was created as a result of a committee within PCTELA about two and half years ago. 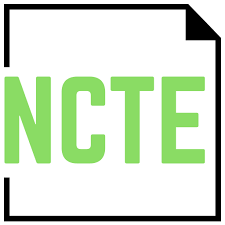 Also because of PCTELA, I became a member of NCTE’s Achievement Awards in Writing Advisory Committee, which helps create the yearly prompts and create guidelines for evaluating student writing. to challenge you to join a committee with your state affiliate or with NCTE. Committees allow you to get work done with a small, dedicated group of people. Encourage the members of your high school to celebrate student writing along with us and help students apply for this writing award. This year’s submission link can be found here: 2017 Achievement Awards in Writing Submission Site. Deadline: February 24, 2017. Eligibility: Juniors in the current academic school year are eligible to be nominated by their school’s English department. Best Writing – one sample which the student considers her or his best work. The best writing may be in any genre or combination of genres (poetry, narrative, argument, expository). An excerpt from a larger piece of writing by the student is acceptable with a paragraph explaining the piece from which the excerpt was taken. Maximum length for the best writing is six (6) pages. The student’s name and “Best” must appear in the upper left-hand corner of each page. Themed Writing – must be written based on the topic developed by the Achievement Awards Advisory Committee. Maximum length for the theme writing is four (4) pages. The student’s name and “Themed” must appear in the upper left-hand corner of each page. 2017 Achievement Awards in Writing Theme. The Achievement Awards in Writing serves as a powerful means through which NCTE can recognize and empower student writers and their teachers. The awards also offer a powerful opportunity for writing instruction: for student writers and writing teachers. Please consider sharing this information with department heads, counselors, principals, and teachers. For more information, go to the Achievement Awards in Writing main website. Thank you for considering this opportunity to share and celebrate student writing. 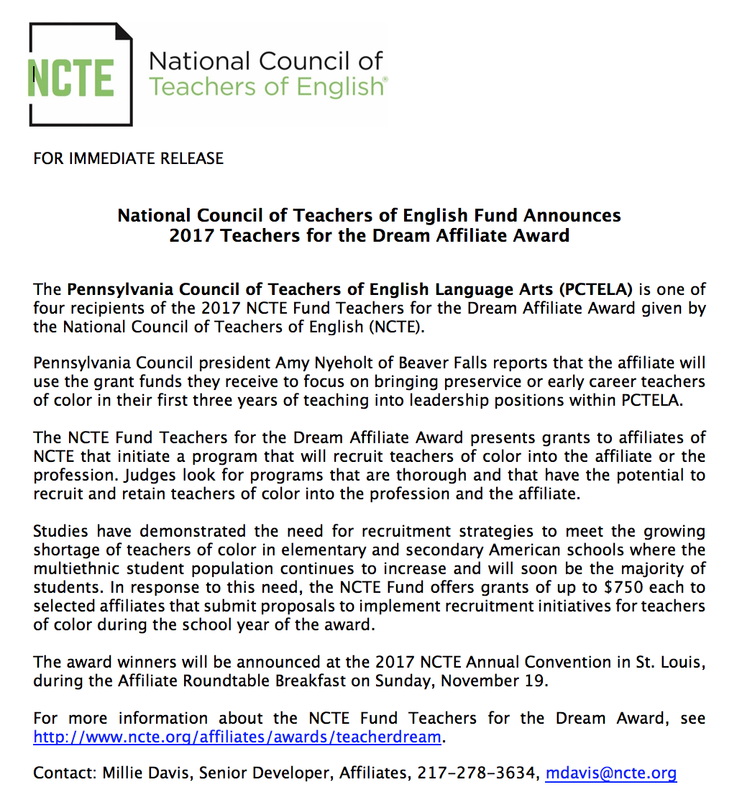 Posted by Kate, PCTELA Blog Editor and committee member of NCTE’s Achievement Awards for Writing Advisory Committee.